Notable mainly because the role of good/bad graphic design can play in people, society, and understanding policy that affects decisionmaking. Not only can bad visual design cause space shuttles to explode -- it can mislead, misdirect, and just plain lie. 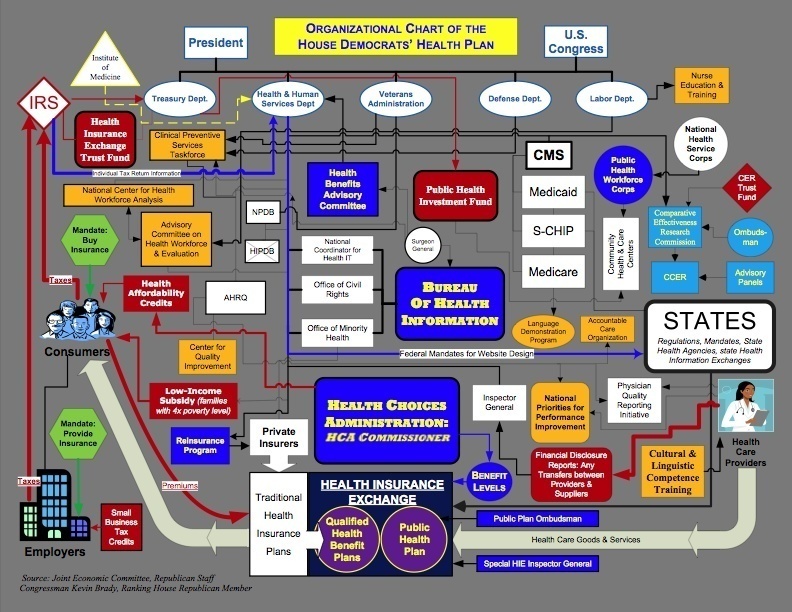 There are now four kinds of lies: Lies, Damn Lies, Statistics, and Intentionally obfuscated infographics. - I have removed the label referring to "federal website guidelines" as those are not a specific requirement of the Health and Human Services department. They are part of the U.S. Code. I should know: I have to follow them. - I have relabeled the "Veterans Administration" to the "Department of Veterans' Affairs." The name change took effect in 1989. - In the one change I made specifically for clarity, I omitted the line connecting the IRS and Health and Human Services department labeled "Individual Tax Return Information." 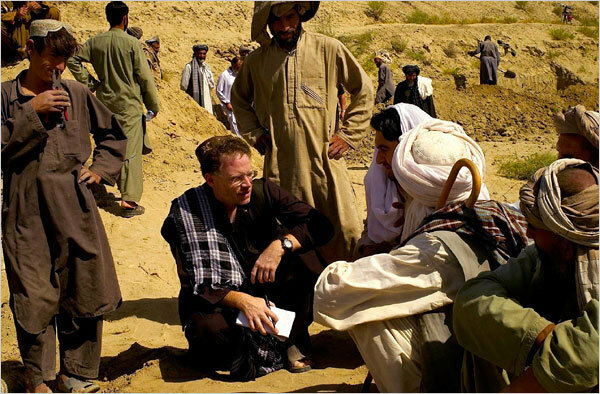 NY Times reporter David Rohde was kidnapped in Afghanistan on Nov 10. Knowing the Taliban check Wikipedia to find out who they nabbed, friends of Rohde updated his wiki entry to show Rohde had written sympathetic articles in the past to help Muslims in their struggles in Bosnia and Guantanamo. But then it turned into a cat-and-mouse game to keep the lid on the story. The Times feared that broad knowledge about this information could cause Rohde to become a bargaining chip and reduce his chances of surviving the kidnapping. Two days later, with no major press on the issue, an anonymous user updated Rohde's wiki page to mention the kidnapping. While the article refuses to speculate -- one can't help but connect the dots. Remarkable. We know that the Internet is widely used, now even by Taliban kidnappers. And not just to do research, but *possibly* to release information and gain advantage in an ongoing armed conflict. Who was the Florida-based wiki editor who kept trying to update the page? Was it a well-meaning friend of the family that wasn't in on the secrecy? Or was it the Taliban themselves? Bush and Obama have changed our perception of hero. No more guns-drawn alpha male -- the rise of the lanky thinker. You can take your firm handshakes and your courage and your lifelong calling to save the day using your fists. We're no longer charmed by the smug romancer who never second-guesses himself. Bush Jr. killed any remaining interest we might've had in a James Bond or a Han Solo or a Crash Davis. This is the age of Obama. Give us your lanky thinkers, your flawed do-gooders, your hunchy neurotics yearning to breathe free. What we long for these days is a man of ideas, a man of compassion leavened by pragmatism, a well-intentioned fly swatter. We'll happily swap smooth-talking bravery for the worried, thoughtful ramblings of an honest chickenshit. Maybe it's time for a change. I for one, welcome it.